Medical ventilator is designed to move breathable air into and out of the lungs, to provide breathing for a patient who is physically unable to breathe, or breathing insufficiently. It composed of The host, hose, mask, power cord, filter and adapter. 1. 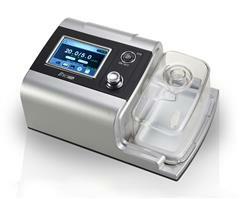 CPAP (Continuous Positive Airways Pressure) is the most effective way to treat sleep apnea. If you have obstructive sleep apnea, your sleep specialist may give you a range of treatment choices and CPAP may be one of these. 2. Auto CPAP (APAP) on the other hand, has two settings, a low range setting and a high range setting, that the machine will fluctuate between throughout the night as it automatically adjusts itself to suit your particular needs at any given moment throughout your sleep. 3. 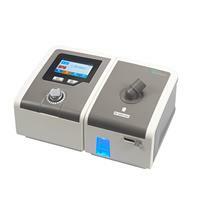 BPAP machines have two pressure settings: one pressure for inhalation (IPAP), and a lower pressure for exhalation (EPAP). When use a BIPAP machine, patients can breathe easier as the machine reduces the pressure level during exhalation, allowing the patient to exhale more easily and breathe more comfortably. 7. Sleep apnea machine is working to achieve human-computer synchronization.